In Fort Worth, Texas the must do on everyone’s list the first week of May is Mayfest in Trinity Park. This family friendly event features the best of art, entertainment, and family fun! Where else can you sample great food, buy crafts, watch a dance performance, hear a concert, and watch a lumberjack show! Also a must see for every outdoor fan is the Texas Parks and Wildlife Outdoor Experience, open Saturday and Sunday. This is an event you don’t want to miss! 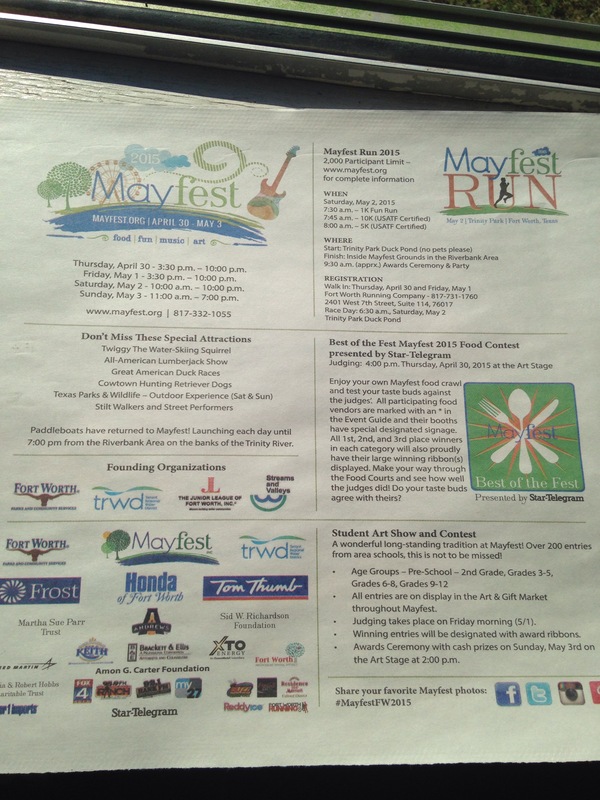 For more information visit www.mayfest.org.